You’ll want to notice the date in the next picture: 22 FEB 02. That’s right, 2002. I bought it back when I started my first career job. Not wanting to harm any animals or humans in the process, I decided to become a human test subject. Suffice to say, I am still alive and have suffered no ill effects. I thought the pasta might go bad, but the seal was air tight, and the seasoning was still good as well. 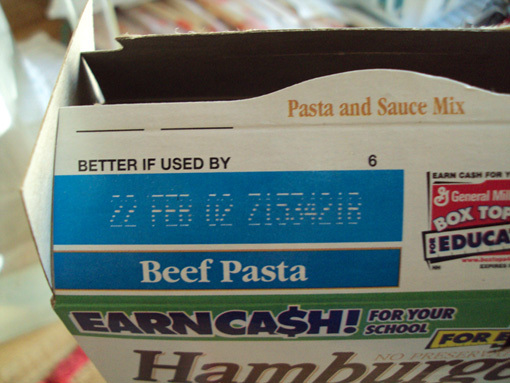 I was actually more worried about the beef which was set to expire January 31, 2012. It was still tasty (i.e. not stale). 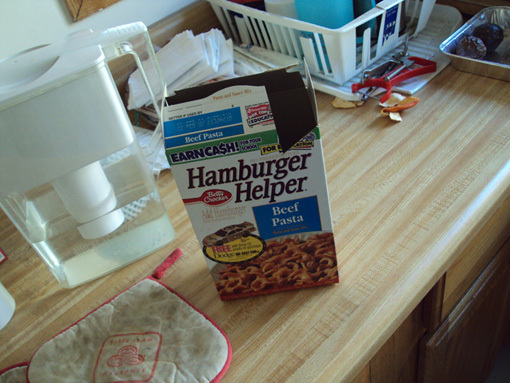 My hats off to Betty Crocker/General Mills for making food that stands the test of time.